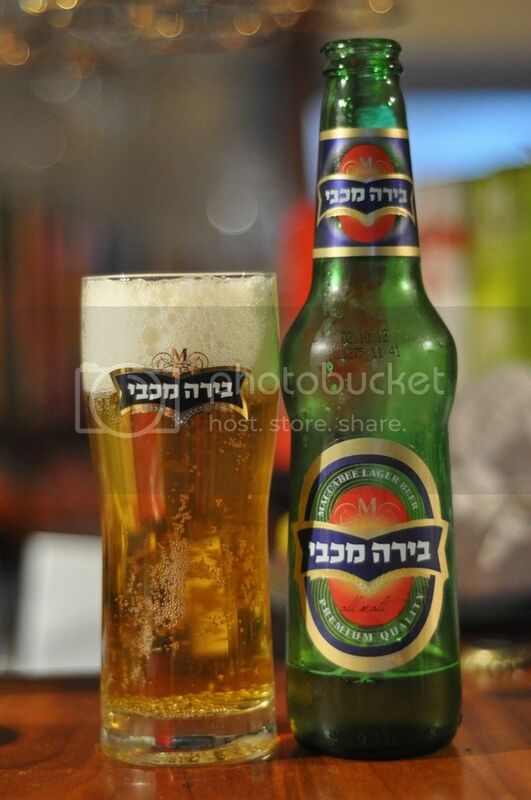 Maccabee is the flagship lager of Tempo Brewing, a company that holds a massive 80% of the Israeli beer market (however small that market may be... still very impressive.) 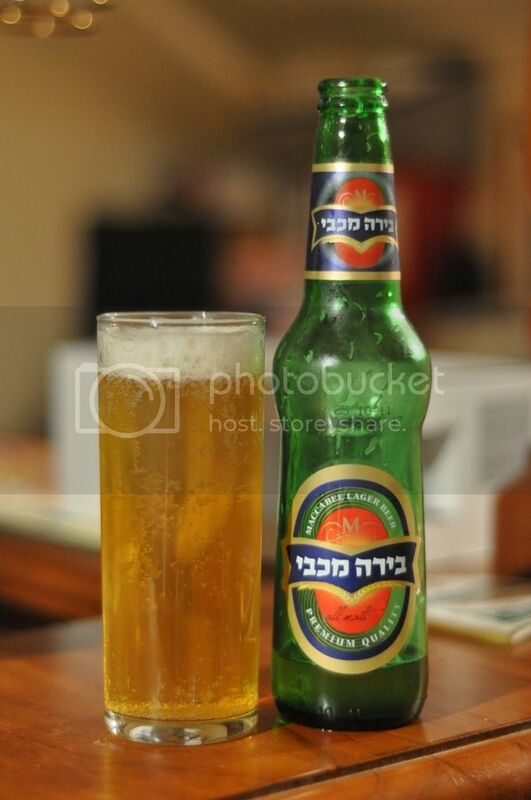 This beer is not brewed in the capital Tel Aviv but in Netanya about 50km North, partly due to the cleaner water on the Mediterranean coast and also due to the large number of English speaking immigrants, mostly from the UK and North America. I personally haven't heard much about beers from the Middle East before, but I have sampled one. That beer was actually quite good, it was called Golden Taybeh and it was from neighbouring Palestine. If the Israeli's can live up to that beer I will be very satisfied with my purchase. A Euro Pale Lager was perhaps not the most adventurous of choices from this brewery, but it would suit the hot Israeli summer climate, if it's any good! This is one of the worst beers I've ever seen! The colour is weak and very light yellow, very low levels of carbonation by the looks of things and the head is just pathetic a finger at best of fast disipating white head. The head completely disappeared within a minute or two and leaves no chance of lacing. It just doesn't look appealing at all! Unfortunately for this lager, (and me!) the smell is not much better than how it looks. The malts are very weak and smell watery, but the worst part is that the rest of the nose is filled with this abhorrent mix of rubbish and something that smells like off weetbix. It smells quite skunky and also sickly sweet, if that makes sense. Really there are no words to describe how bad this beer smells, it's just disgusting! WOW! So incredibly bad, I really don't know what to say about this beer; It's terrible! It's far to sweet and has this funny corn taste, which doesn't work for me in the slightest. It has a terrible metallic taste and I even get a funny coffee hint. It's very acidic and the hops must be absolutely terrible, if they are even real hops and not chemicals. At least it's not overly carbonated, I think thats the only positive to come out of this beer.